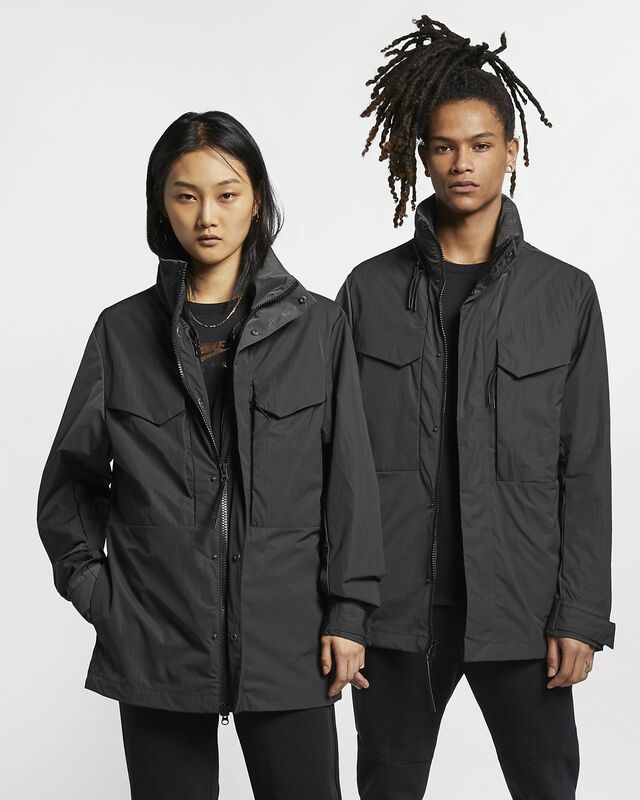 Modeled after the M-65 U.S. military field jacket, the Nike Sportswear Tech Pack Synthetic-Fill Jacket is the ultimate blend of warmth and functionality. Designed with multiple utility pockets and a removable vest liner, it offers ample storage and versatile wear options. Functional design has multiple pockets. Removable quilted vest has a metallic interior and a grid pattern inspired by running and training gear. Packable hood and stand-up collar offer warmth and coverage. Storm flap snaps over the zipper to help block the elements. 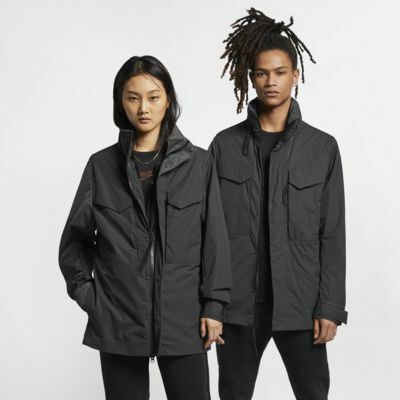 Design is inspired by the M-1965 field jacket, a cold-weather coat with a straight front that was standard issue for American troops. Fabric: Vest: Inner/outer body: 100% nylon. Fill: 100% polyester. Outer jacket: Body: 71% polyester/29% nylon. Pocket bags: 100% nylon. Have your say. Be the first to review the Nike Sportswear Tech Pack Synthetic-Fill .